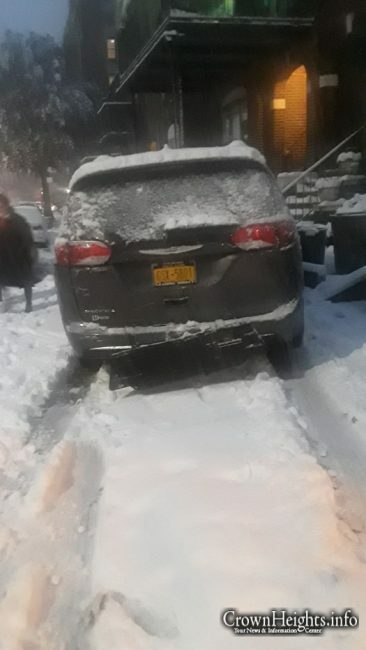 A minivan was damaged after an out of control box truck rammed it onto a sidewalk in the middle of Thursdays snow storm. No one was hurt in the incident, and the truck driver fled the scene. 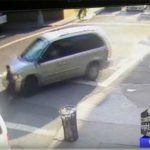 A minivan was parked on Sterling street between New York and Brooklyn Ave around 4:45pm Thursday, when a large white box truck rammed it from behind, pushing it onto the sidewalk. 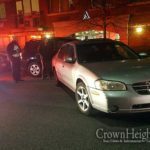 911 and Shomrim were called, but the truck had already fled the scene. 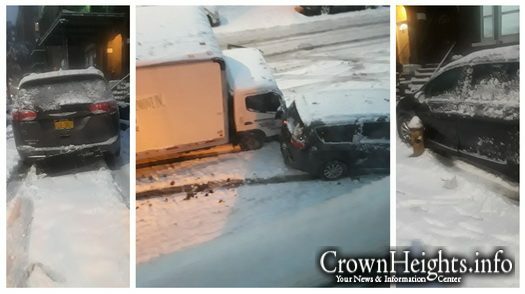 Surveillance camera footage from neighboring houses show the truck driver exiting his vehicle after coming to a complete stop. 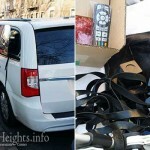 The truck began rolling and slammed into the back of the parked minivan. 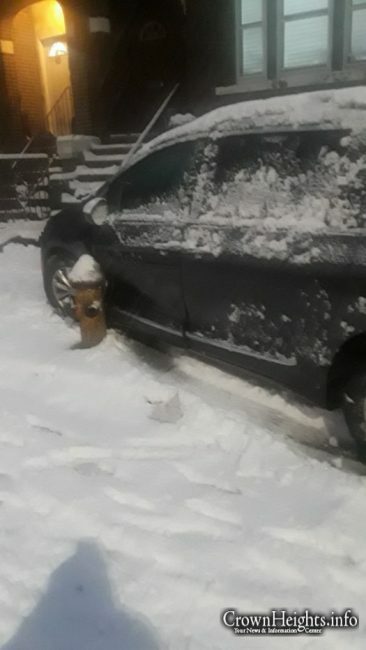 The minivan, which was pushed onto the sidewalk and wedged between a fire hydrant and cement ledge, occupied a space that miraculously just moments before had young girls and children walking there. The driver of the truck can be seen running back to his vehicle before reversing, and leaving the scene. The owner of the vehicle was located, and a police report was filed. 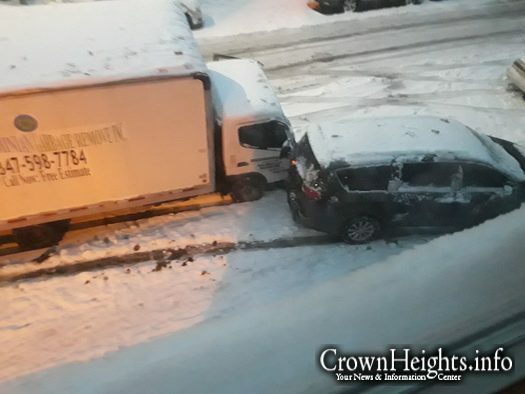 UPDATE: crownheights.info was approached by the owner of the minivan who said that the owner of the truck came to apologize for his driver who caused the incident. 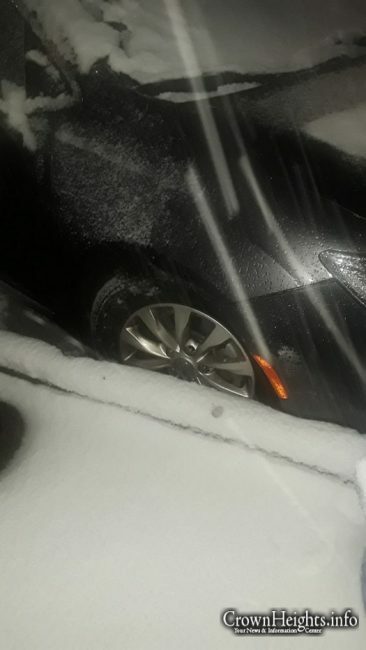 The owner also provided all necessary paperwork for the insurance claim. 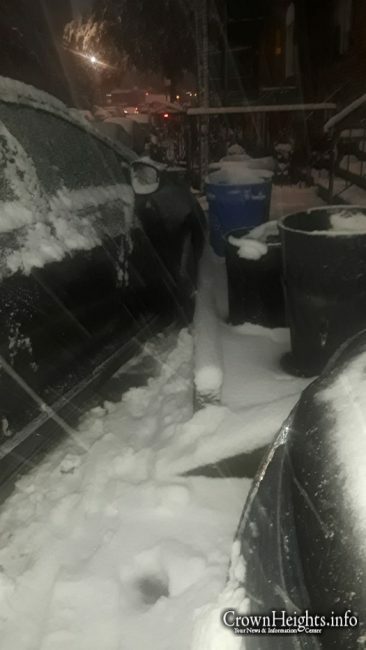 it has happened to me in the 70s while curb parked on bedford in the bay….. hit and run and accidents are always inconvenient… Insurance is important and for a few extra dollars you ge flat changed, towing and rental car reimbursement.